Originally published January 6, 2017, updated Feb. 5, 2019. Web developers are focusing on the customer this year. There’s been a growing emphasis on the customer journey over the last few years, and 2019 will see more focus on providing a responsive, customized experience to every visitor. To that end, the leading web development trends for 2019 are those that help developers engage visitors and provide personalized service. Visitors won’t spend much time on a site if they can’t find what they need. Simple, interactive design keeps users engaged and makes navigation straightforward. One of the most common ways to add this functionality in 2019 is motion UI. The trend includes both the concept of featuring simplified motion effects in web design and a specific tool for doing so. Motion UI is a standalone Sass library for creating CSS transitions and animations. It offers interactive motion effects that visually guide site visitors towards popular features. Developers like Motion UI for its customizable components and flexibility. Adding effects is simple, so it’s an easy way to add interest to a site without throwing off development schedules. Whether it’s done using Motion UI or another tool, dynamic visual effects are showing promise as a way to improve user engagement. Expect wider adoption as developers explore its value in an enterprise context. The line between mobile and home computing is so faint it’s practically invisible. Consumers own just under 4 connected devices each (including smartphones, tablets, laptops, and other devices) and switch between them regularly during an average of 5.9 hours of daily media usage. Companies who can provide consistent user experience regardless of how visitors reach their site will enjoy greater engagement and more return traffic. It’s not enough for web design to be responsive anymore. Responsive design leads to awkward or unattractive sites on some devices. Now design needs to be adaptive, able to rearrange itself to suit different device classes while providing a high-quality user experience for each. This year, developers will explore optimized templates that translate content to a variety of device classes. Artificial intelligence is everywhere. It’s already being used to improve search results, upsell products, power facial recognition programs on social media, and sort articles on sites like Wikipedia. Now, it’s making a place in the customer service arena. More than 40% of organizations worldwide plan to launch customer-facing artificial intelligence technology this year. Chatbots are leading the charge. Within the next five years they’re set to become the most common AI application across all consumer applications. Natural language processing (NLP) has matured enough that chatbots offer real value instead of frustrating customers. In fact, over half of consumers like having the constant point of access to businesses chatbots provide. Look for more chatbots, virtual agents, and NLP-based form filling tools throughout 2019. Progressive web apps are still generating excitement in 2019. Developers view them as a serious competitor for native apps, especially as more browsers support their full suite of features. There are a lot of benefits to using PWAs. Development is often shorter and less costly. They offer excellent performance even on poor devices and in low signal areas. Dropping below the three seconds most users wait before leaving a slow site helps lower bounce rates and increase time spent on-site. PWA service workers provide limited offline functionality, which is a significant benefit with 70% of world economic growth over the next over next several years coming from emerging markets, that’s a significant advantage. There are still some problems with browser compatibility, but those will fade away as browsers catch up to the latest W3c standards. Some of these trends should grow in popularity as 2019 proceeds. Artificial intelligence, for example, is making strides in proving its worth as an enterprise tool. It would be hard to imagine anyone abandoning it right as it begins to realize its full potential. Others aren’t as easy to predict. Motion UI may be exciting, but there aren’t any numbers on its practical impact yet. For now, these are all solid tools for developers looking to boost performance and improve the customer experience. Questions? Concepta’s team stays up to date on the latest web development trends. Drop us a line to talk about which ones are best for your next project! Originally published April 6, 2017, updated Dec. 18, 2018. The BI technologies which offer the best chance of success today are those that allow companies to take advantage of time-sensitive opportunities while providing more responsive customer service. One of the most important parts of developing a digital strategy is knowing when not to jump on a high-tech bandwagon. Some technologies show potential in small-scale trials but haven’t had enough real-world usage to prove their worth to enterprise. Adopting too early puts companies at risk of losing their investment. On the other hand, waiting too long leaves them in their competition’s shadow. There’s a lot at stake in this balancing act. Digital transformation isn’t a luxury anymore. It’s critical for companies who want to stay competitive. Even chains of three or four locations can fall behind their peers if they aren’t maximizing their data usage. Of course, building up digital infrastructure costs money. Choosing the right technology is the best way to ensure a smooth return on that investment. 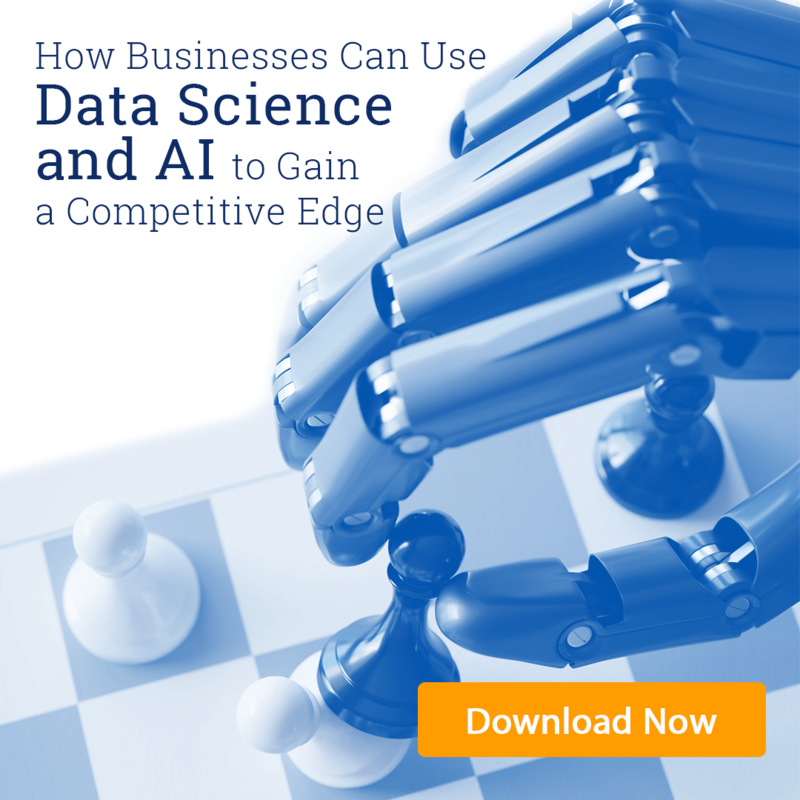 A number of business analytics trends are already picking up speed coming into 2019. Some are years away from being able to deliver on their promises. Others have reached the stage where a company can reliably use them to gain a competitive edge while side-stepping the risks inherent to early adoption. The best of this second group are outlined below. These are the trends to adopt for enterprises seeking to improve their data agility. Predictive analytics as a field has existed since the late 1600s, when Lloyd’s of London used it to estimate insurance rates on seagoing vessels. Until the rise of computers, though, it wasn’t a practical means of steering business. There were too many variables for a human to consider in time to form more than broad predictions. Widely available cloud storage and increased processing power changed that. The field has seen a resurgence as the most efficient way to maximize data usage and feed a data-driven decision making process. 73% of companies consider themselves to be analytically driven, and predictive analytics are behind the most successful of these. Predictive analytics detect deviations in patterns, generate insights based on evolving activity, and predict future outcomes from gathered data. The benefits of predictive analytics are clearly demonstrated by the variety of practical applications in use today. One unexpected example is human resources. Retaining experienced workers is a constant challenge for employers who must cope with turnover rates of nearly 20% (averaged across US industries). The tech sector suffers from even higher turnover. Replacing lost workers can cost up as much as half their annual salary, not counting lost productivity during the training process. Using predictive analytics, HR managers can find patterns in their employment data that highlight the reasons good employees leave and suggest the incentives most likely to make them stay: higher salaries, additional training, more appealing benefits packages, or in some cases transfers to more engaging positions. The data also predicts which employees are most desirable to hire and retain. There’s still a long way to go before the full potential of predictive analytics is realized. That said, the technology is maturing much faster than experts predicted. Its current capabilities are more than reliable enough to justify making an investment. Real time analytics (also known as streaming analytics) give enterprises an up-to-date visualization of their operations. It was a growing trend back in 2017, and today it’s living up to that promise. In the traditional analytics model, information is stored in a data warehouse before analysis is applied. This causes a gap between collection and results where perishable opportunities are lost. There’s no rule that says data has to be stored first. It can be analyzed mid-stream to sift out data that will only stay relevant for a short time. Companies then have the chance to make the most of the opportunity through swift action. Information gathered by real-time analytics is usually displayed in a dynamic graphic format that doesn’t require a data science degree to understand, too. That makes it easy to act on quickly. A business that can spot opportunities in time to take action makes much greater use than those left playing catch-up on trends. The one caveat about streaming analytics is that they work best in data-driven cultures. Be sure to provide both technical training and executive support when launching a real-time analytics tool. Natural Language Processing (NLP) has grown from an internet novelty to a reasonably robust tool. While it hasn’t seen as much use in the corporate world as its cousin, Natural Language Generation (NLG), it has developed enough for enterprise use. The most relevant NLP application right now is employing chatbots to provide 24/7 customer support availability. Customers can interact with a chatbot using normal, everyday language. The sophistication of a bot varies widely. Some have very basic account support capabilities; others can guide a customer from selecting a product all the way through checkout. At this stage of maturity users generally know they’re speaking to a chatbot, though NLP has evolved to the point where the bot doesn’t frustrate users by getting stuck or spitting out garbled answers. Instead, bots provide a clear, straightforward path to resolving common customer issues. The convenience of having uninterrupted access to routine account services tends to negate any annoyance. Virtual assistants also fall under the heading of NLP. These let users request analytics and services using natural language and receive replies either out loud or projected to a specific device. There are virtual assistant integrations for a huge variety of popular enterprise programs. Some even provide a path for the assistants to complete purchases using pre-approved sites. Some interesting trends are gaining traction right now. Connected “multi-cloud” strategies are maturing, and research firms like Gartner have been tracking the application of real-time analytics to automated insight generation. For now, though, the analytics trends are the ones which have demonstrated their utility and staying power. While nothing is guaranteed in the tech world, even tech-averse companies can expect at least a reasonable ROI from their adoption. 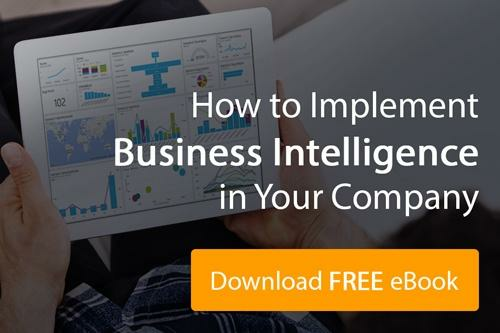 Are you interested in adding to your business analytics toolkit? Get a full assessment of your BI needs! This year, businesses will be striving to keep pace with the digital revolution while maintaining focus on their core business. The biggest business intelligence trends of 2018 are those that let companies solve problems at the lowest level, work wherever the market takes them, and pivot to meet new opportunities as they arise. Augmented data preparation allows business users controlled access to company data for testing theories. These users can clean, reformat, and adjust data as needed using intuitive tools. Smart data discovery tools can query data without formal programming languages, making information widely accessible. The software is generally “drag and drop” based to reduce the learning curve. Embedded analytics provide quick, easy-to-view analysis of commonly used KPI. They were big in 2017, but in 2018 they’ll get smarter and more user-friendly. Data visualization is the art and science of translating data into a visual format. It goes beyond making pretty charts for meetings; often the same data can be interpreted different ways depending on how it’s displayed. Visual-based data sees much more use than text. It’s easier to understand and absorb, reveals patterns that aren’t visible in raw data, and highlights outliers. More importantly, it holds viewers’ attention and starts conversations. Infographics are among the most shared types of enterprise media. In the past visualization was mainly static (like printable charts and graphs). This year will see a rise in the dynamic visualization of streaming analytics. Enterprise apps make up a growing portion of mobile usage, and a majority of high-level companies are adopting BYOD (bring your own device) policies. People are already using their phones for both work and play, so it was only a matter of time until BI also made the jump to mobile. Executives don’t spend all their time at desks anymore. They’re frequently in motion, moving around the company or going out to get eyes on critical processes. Mobile analytics tools put data where executives need it, when they need it. Modern smartphones generally have plenty of power and memory available to run enterprise apps, too. Utilizing that power keeps technology costs down while simultaneously being more convenient for employees. 2018 will bring more mobile-specific analytics solutions, not just interfaces for existing software. Developers will focus on customizable dashboards and visualizations that make the most of smaller screens. Multi-cloud strategy refers to the practice of incorporating more than one cloud service (like Amazon Web Services, Microsoft Azure, or the Google Cloud Platform) into software architecture. A distributed architecture like this has advantages over the single-cloud structure. Cost: Developers can choose the most cost-effective solution for each component. Security: Multi-cloud solutions offer more transparency, and it’s easier to oversee the environment as a whole. Agility: It’s easier to upgrade to newer and better technologies as they mature. 85% of companies operating in the cloud favor multi-cloud solutions, using 8 different clouds on average. Look for this number to rise through 2018 as more companies refine their cloud strategies. Is your BI strategy ready for 2018? Concepta can streamline your business intelligence strategy and create dynamic visualizations to make your data more accessible. Contact us for a free consultation!